Throughout May and June, TransCanada has made repeated attempts to survey for their CoastalGaslink pipeline by trespassing in Unist’ot’en territory. A new checkpoint has gone up on the Chisolm Forest Service Road, while supporters at the main camp encountered a helicopter that landed without the clan’s consent and kept it grounded until the hereditary chiefs could be reached. The clan continues to make sure that no pipelines will be built on their unceded territores. 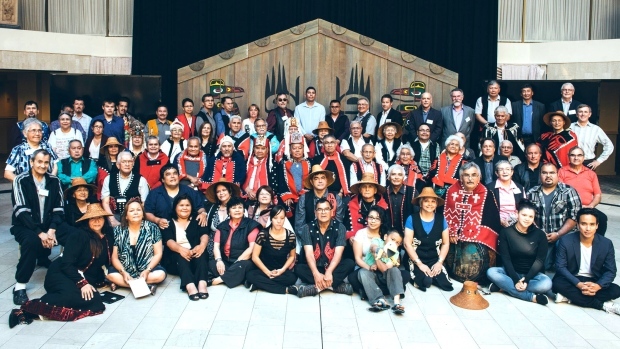 A First Nation in B.C. is contradicting recent claims from Eagle Spirit Energy about its support for a pipeline that would transport crude oil through its territory from Alberta to B.C.’s northwest coast. Eagle Spirit Energy met with dozens of First Nations communities last weekend. 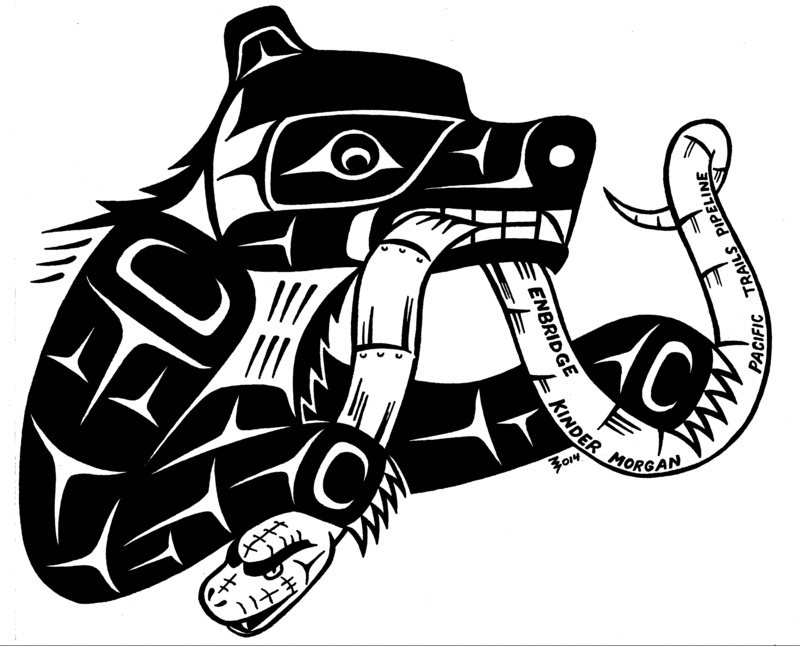 On Tuesday, it announced that 200 representatives from 30 First Nations, including the Lax Kw’alaams, spoke out in support of the company’s proposed pipeline project. Kinder Morgan Westridge Marine Terminal gate – photo by Mychaylo Prystupa, Vancouver Observer. 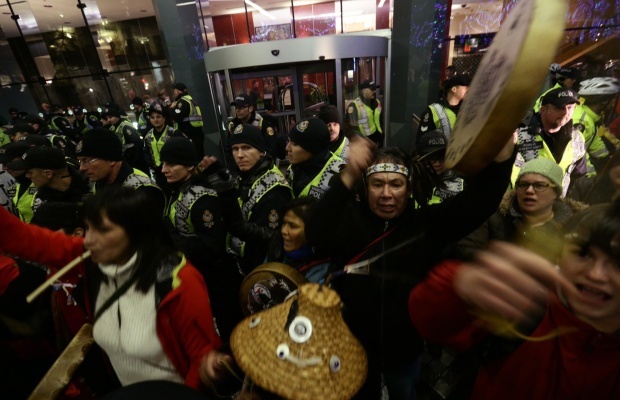 VANCOUVER, Oct 21 (Reuters) – A Western Canadian pipeline once seen as the best near-term hope for sending more of the country’s controversial tar sands crude to Asia has hit another snag: aboriginal communities intent on using the courts to block the proposed expansion. 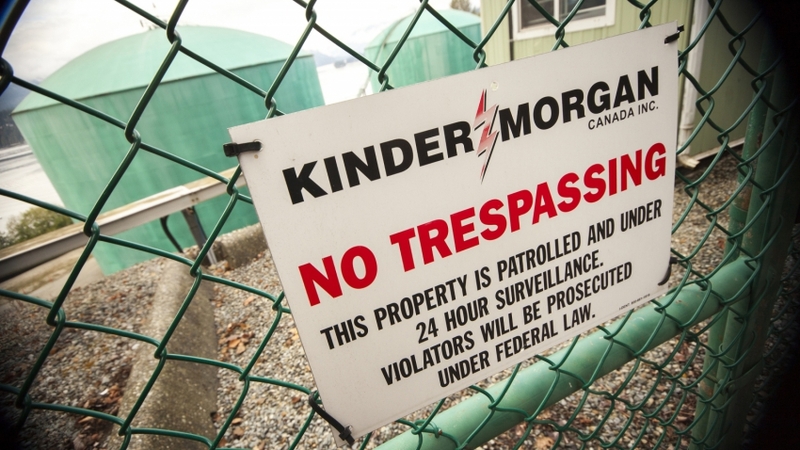 Kinder Morgan Energy Partners’ C$5.4 billion ($4.8 billion) Trans Mountain expansion would twin a 60-year-old line running from the oil-rich province of Alberta to the coastal city of Vancouver, tripling its capacity. The pipeline expansion had been seen as sure bet because it uses an existing route. But a surge in municipal opposition in recent months has fueled industry worries that it will enter legal and regulatory limbo along with the unbuilt TransCanada Corp Keystone XL and Enbridge Inc Northern Gateway pipelines. 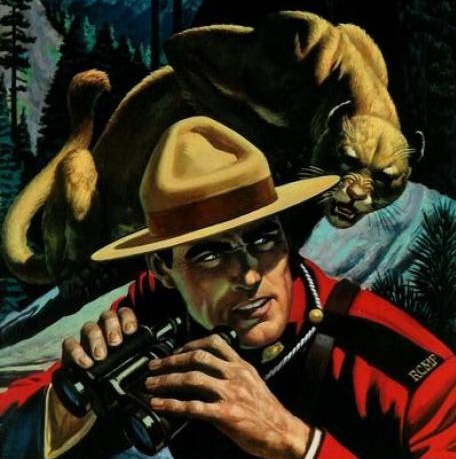 With the federal government’s approval of the Enbridge Northern Gateway pipeline on June 17, 2014, there arose a chorus of angry disapproval from many people in BC. Some talked about waging a “war against Enbridge,” while others proclaimed the beginning of the “battle.” Predictably, the political parties opposed to the Conservative government promised to put a stop to Enbridge, if elected. Those who have worked to oppose Enbridge over the past 5 years renewed their pledges to carry out court cases, referendums, voting campaigns, as well as civil disobedience. In fact, the “Hold the Wall” campaign initiated by the Yinka Dene Alliance claims that over 22,000 people have pledged to do just that, “using all lawful means.” But what if a court decides its unlawful to “hold the wall”? 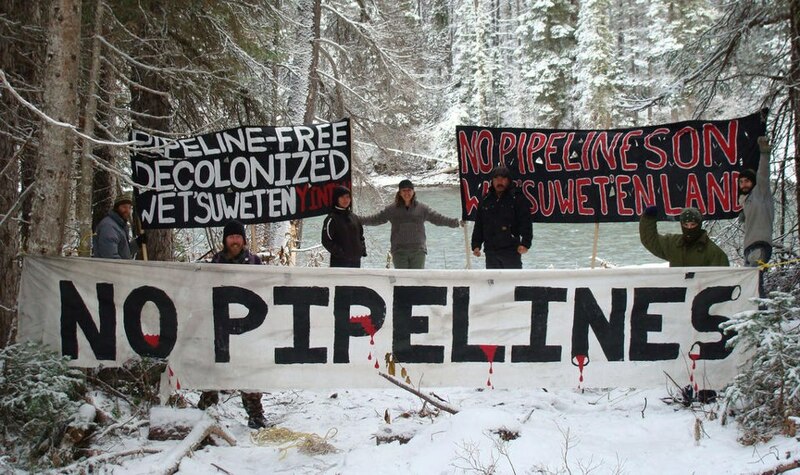 Those with perhaps the most realistic grasp of the situation have renewed their calls for direct action, if and when necessary, to physically stop the construction of the pipelines.